STL 2.5, Drop Point, Fine Edge. 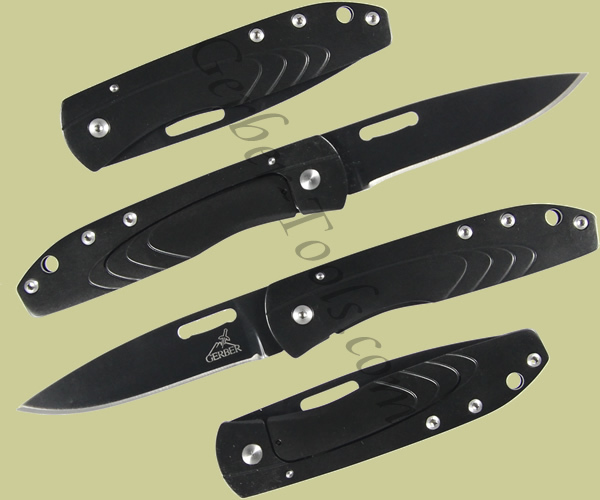 The Gerber STL 2.5 31-000716 is completely constructed of 7Cr17MoV stainless steel with a super thin machined handle. It weights in at only 1.5 ounces. The fine edged drop point blade is 2.5 inches long, making this knife ideal for everyday carrying. It is great for all those times you find yourself reaching for a knife throughout the day such as opening packages, cutting rope, or even slicing an apple.